THREE of Scotland’s major business events have been shortlisted for a national award at Scotland’s ‘tourism Oscars’. 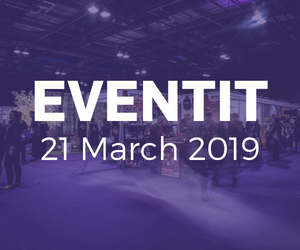 Business events curated or hosted by Edinburgh International Conference Centre (EICC), Cashel Travel and DataLab will battle it out to be crowned Best Business Event at this year’s Scottish Thistle Awards National Final to be held on 14 March at the EICC. The category – which was launched as a national category for the first time last year to mark the 25th year of Scotland’s premier tourism awards scheme – celebrates the importance of business events in showcasing Scotland’s world-class credentials as a destination for congresses, meetings and incentive programmes from around the world. Business events have been identified as a key factor in the ability to succeed in Scotland’s drive to grow visitor spend by £1bn by 2020. Edinburgh International Conference Centre (EICC) for hosting the annual congress for The European Orthodontic Society (EOS). Held in a different European destination every year, the EICC hosted the event in June 2018 with 2,300 delegates travelling to the city. The success of the congress relied upon a city-wide collaboration and a festival-style approach, unfamiliar to the business events industry. Judges were impressed by the level of collaboration, logistical prowess and client feedback from hosting this highly prestigious European congress. Cashel Travel for hosting the Norwegian Client Incentive for a Norwegian supermarket chain. 850 guests travelled to Edinburgh in September 2017 for the annual event, which is held in a different location in Europe every year and consisted of business meetings, gala dinners and incentive activities. Judges were impressed by the evolution of this complex business event, from the bid to win the event through to arranging imaginative experiences using multiple suppliers and venues across the city. DataLab for DataFest 18. The festival of data innovation hosts a range of events across the country to showcase Scotland’s leading role in data on the international stage, while offering an unprecedented networking platform where attendees can interact with local and international talent, industry, academia and data enthusiasts. It comprises of an international conference, recruitment event, executive dinner and fringe events organised by local partners. Judges were impressed by the scale ofDataFest 18 and the engagement with a wide range of stakeholders within and beyond tourism and the data sector. The Scottish Thistle Awards celebrate success, innovation and excellence in Scotland’s tourism and hospitality industry. 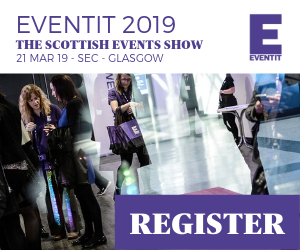 The Best Business Event category celebrates creative, logistically complex or prestigious Business Events including Incentive Programmes, Association Congresses, Product Launches, Corporate Conferences, and Exhibitions held in Scotland. To qualify for the award, events had to be aimed at a private audience or delegates related to an organisation or company, and not be public facing or ticketed.